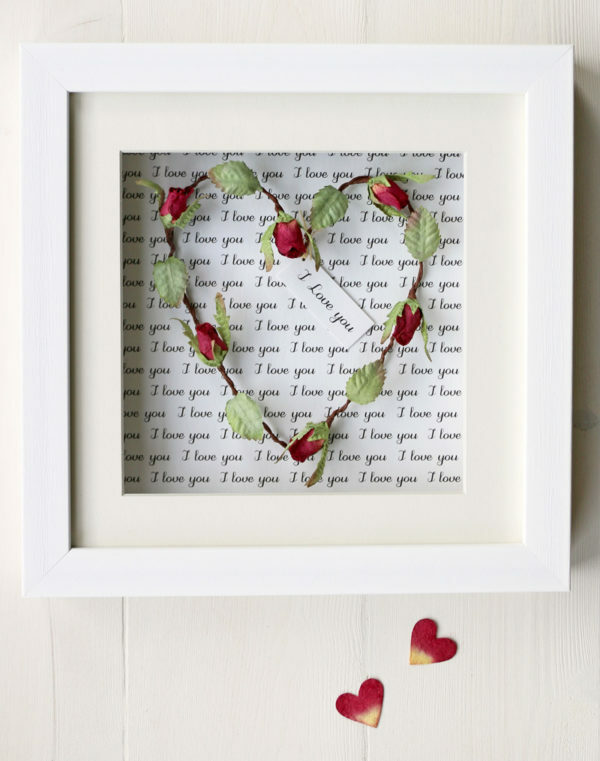 ‘I love you’ heart picture – handmade paper rosebud heart with tag and paper reading ‘I love you’ framed in a square white picture frame. 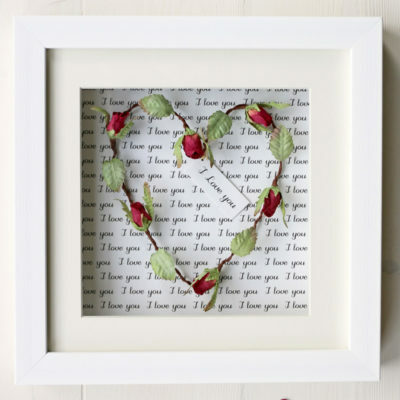 A perfect anniversary, Valentines or romantic gift. 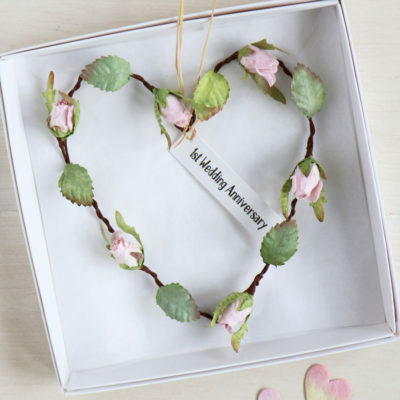 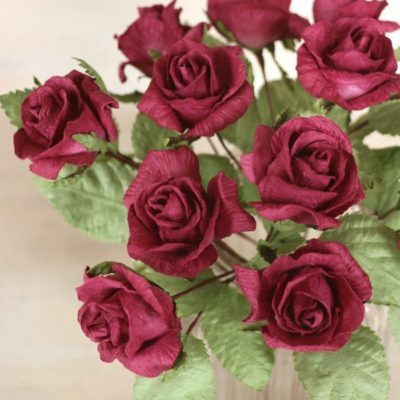 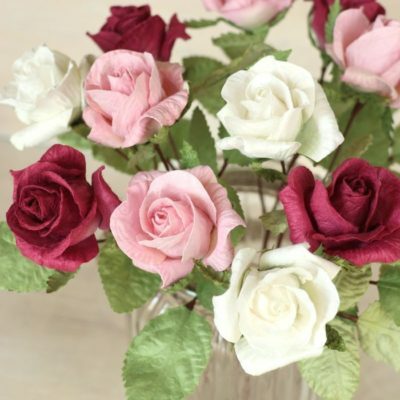 The paper rosebud heart is available in 5 colours – red, pale pink, dark pink, ivory or yellow. 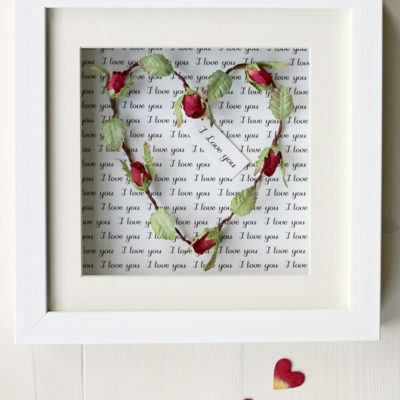 The frame measures 8 x 8 inches (20.3 x 20.3 cm) and is approx. 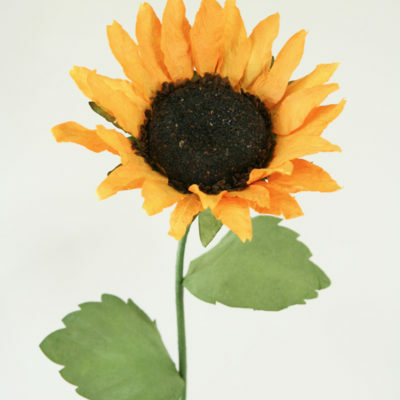 11/4 inch (3cm) deep.